Great for parties, corporate events and exhibitions. 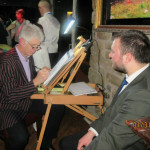 If you’re thinking of having a live caricature artist at your wedding or party or business dinner. 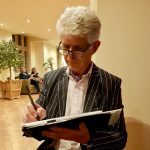 . . I’ve been drawing caricatures since the LAST CENTURY! So you’ve come to the right place! 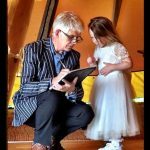 There’s lots more information further down the page after the pictures…. 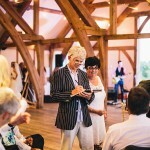 Chris drawing at a wedding. 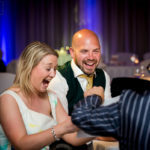 Having a laugh with guests. A lot of people think a caricature artist is always cruel. Who says they have to be? 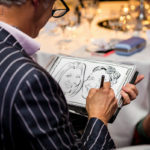 I’ve drawn tens of thousands of caricatures at weddings and people are often relieved to find that they are quite kind. 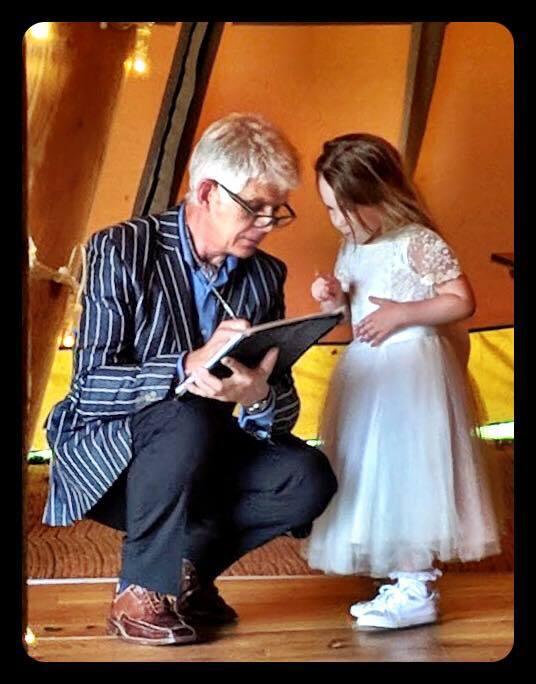 From kids, mums and dads to grandparents my style is flattering to the ladies and reasonably kind to the men but above all funny and they really do look like the people I draw. People just love them! 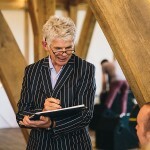 More info after the gallery……..
How does it work? 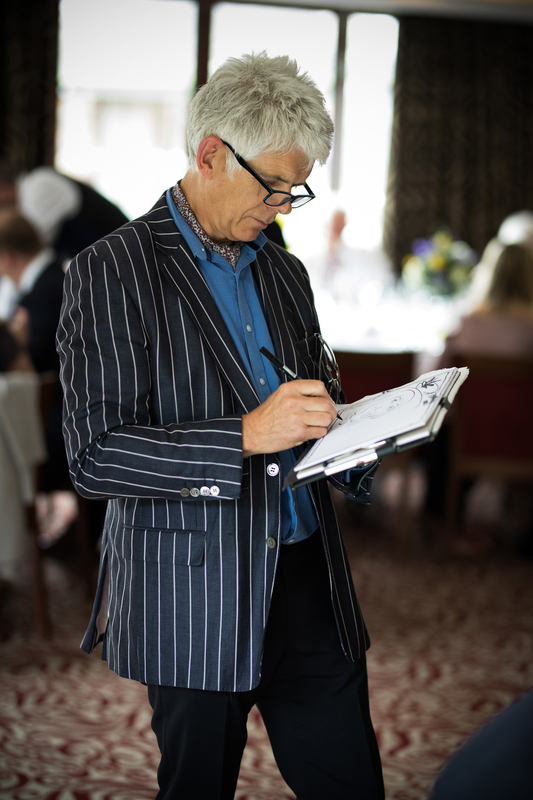 I can draw as a roving caricature artist, mixing and mingling with your guests, or sat at a small easel, whichever works best for the time of day. I usually draw for 3 hours and can draw about 50 caricatures. I bring along plastic sleeves for everyone’s caricature. 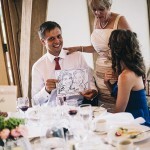 My caricatures help to break the ice at wedding receptions and parties. They get people talking and get any event off to a great start. 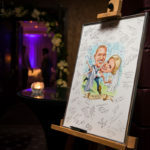 Your guests also have a perfect memento to take home. I also draw at trade events and exhibition stands. 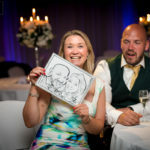 At weddings, the caricatures work well at drinks reception and around the tables during the wedding breakfast or in the gap after the meal and into the early part of the evening reception. 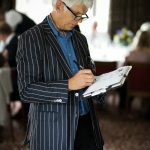 For a formal or business dinner it works well if I start drawing at drinks reception and continue round the tables through the meal which usually takes about 3 hours. Do you do anything else? If you want a pianist – I can do that as well. (Though not at the same time!) 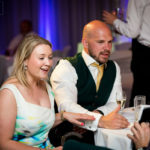 At weddings for instance, I can play piano for a civil ceremony, draw caricatures during the drinks reception and finish off with piano through the wedding breakfast, so you get two kinds of entertainer in one. See my piano page for more details. How much does it cost? It can vary. It depends where and when your event is. A Friday or a Saturday in Summer will be more than a midweek day in January. 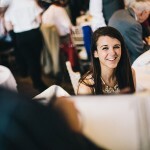 So let me know where and when your wedding or event is and I can give you a price. How far do you travel? 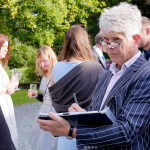 I’m the perfect choice for your Lake District wedding as I live in Cumbria but I draw only in the North West, the Lake District, Cumbria, Lancashire, Preston, Blackpool, Kendal, Lancaster, Penrith, Carlisle, Barrow-in-Furness, Bolton, But I do go just over the border into Scotland to Gretna. My price includes travel expenses. 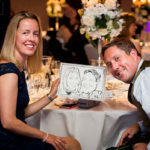 Do my guests have to pay for their caricatures? No. You will be paying me to come and draw them. How do I book? Just email me your details, the date and where the event will be and, if I’m available, I will email my booking confirmation. I ask for a £50 deposit to secure a booking which can be paid by bank transfer (I will send details) or by cheque and the balance is payable two weeks in advance. the COMMENTS box below is for leaving permanent (and hopefully nice) comments about the site.